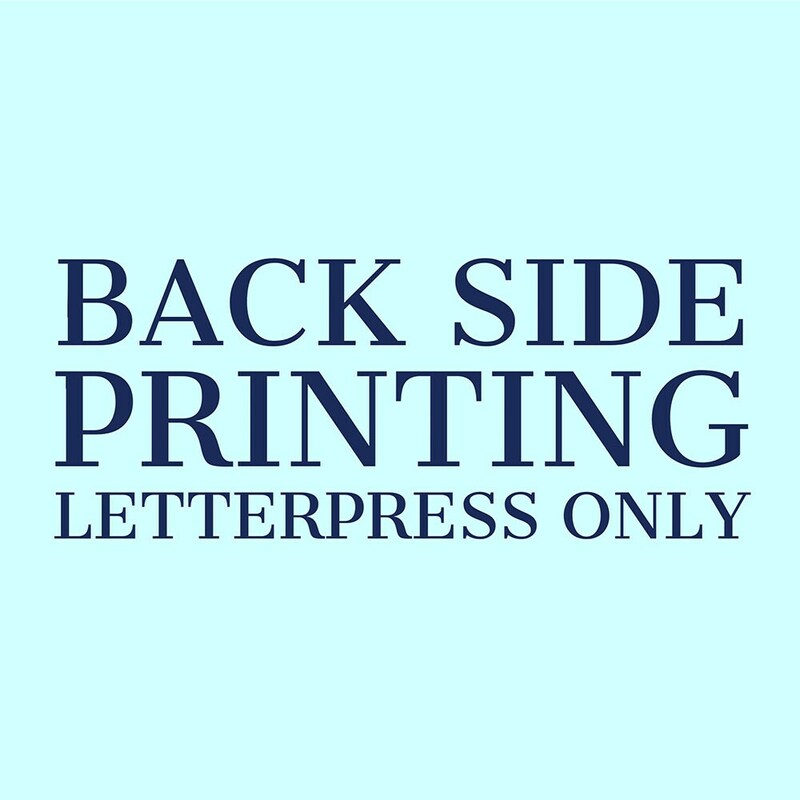 This listing is for the add-on service of BACK SIDE LETTERPRESS printing on the back of your main item. This can be added to any stationery, birth announcement, adoption announcement, holiday card or wedding invitation order. This service will be letterpress printed on the main item in your order. Be sure to select the same number of back side printing as the number of stationery / announcements / invitations you purchased.